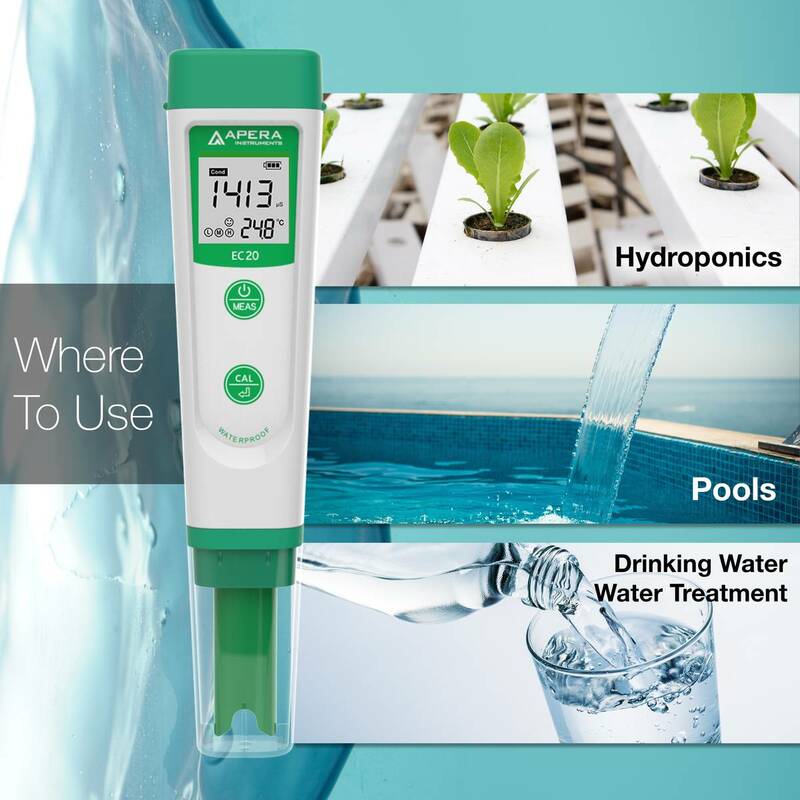 The Apera Instruments EC20 tester is simply the most reliable conductivity (EC) tester with the best value for all kinds of regular EC testing, such as hydroponics, education, tap/drinking water, swimming pool, water treatment, etc. Up to 2 points of Auto Calibration with buffer recognition and 0 to 50˚C Auto Temperature Compensation (ATC), ±1% F.S, 0.5˚C accuracy with measuring range of 0-200.0 µS/cm, 0-2000 µS/cm, 0-20.00 mS/cm, 0-50.0˚C. 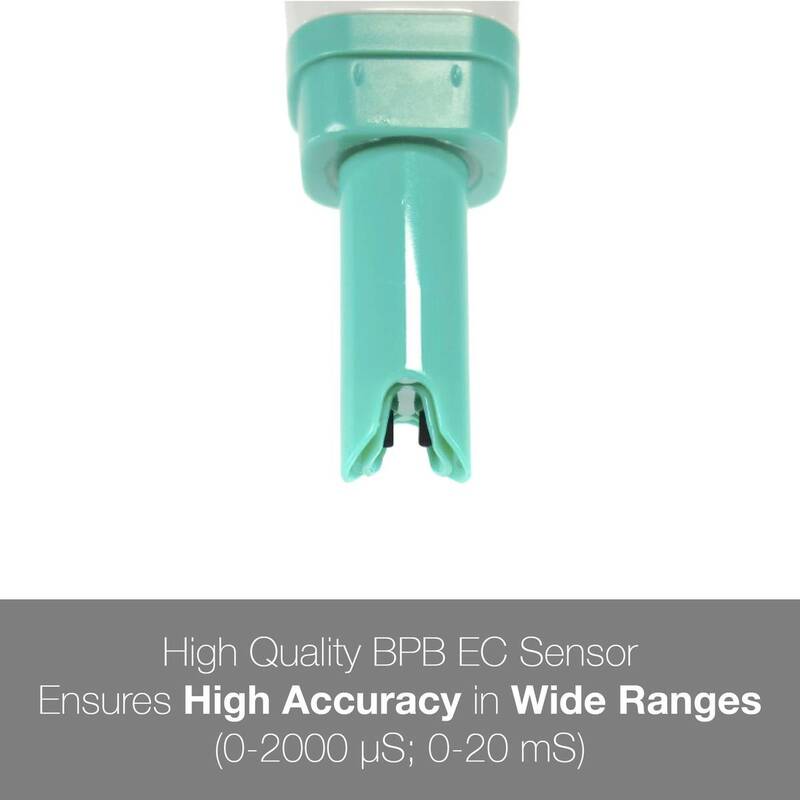 The BPB (Brush-Resistant Platinum Black) sensor adopts our special processing technology, which minimizes electrode polarization, expands measuring range, and increases the firmness of the electrode, hence ensuring a much higher accuracy and consistency in a wide-range EC measurement than traditional stainless steel electrodes, and is easy to clean. Large clear 180˚ viewing angle screen with temp./EC value dual display and indications of completed auto calibrations and stable readings. Great functions to make your testing experience a lot easier: 3-point auto calibration with auto buffer recognition, 0 to 50˚C auto temp. compensation. Self-diagnosis with out-of-range and low battery warning, and incorrect calibration reminder. 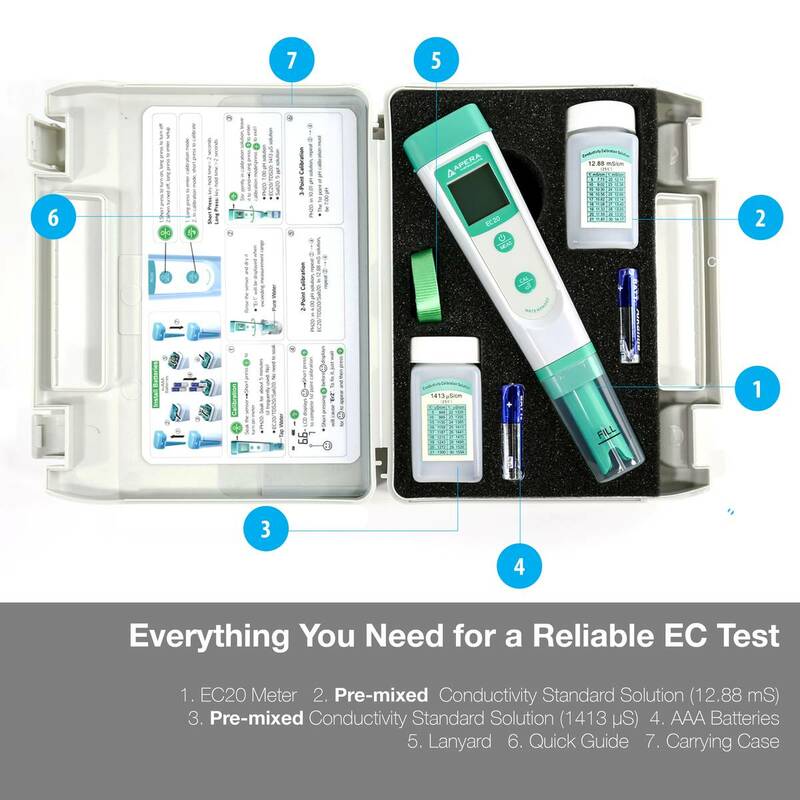 Complete kit with calibration solutions, AAA batteries, and a lanyard all in a portable carrying case. IP67 waterproof and dustproof, floats on water so no need to worry if it falls into the water by accident. 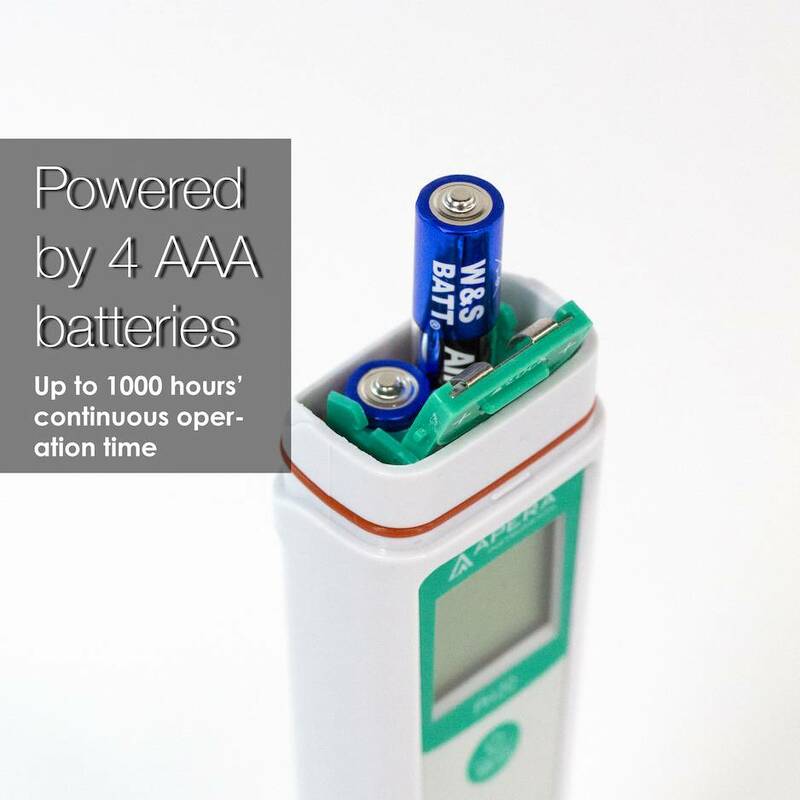 1000 hours' continuous operation powered by AAA batteries (with low power warning and auto power off in 8 min if no operation).